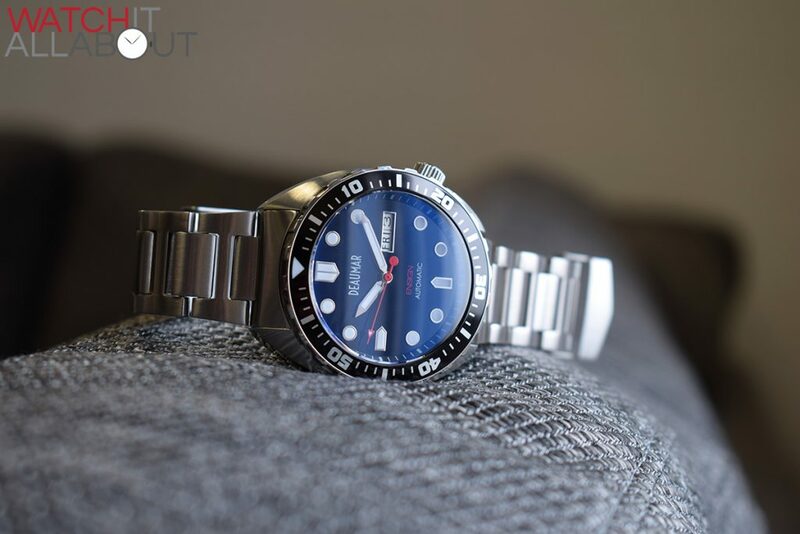 Published by Joshua Clare-Flagg on 11 Mar, 2016. 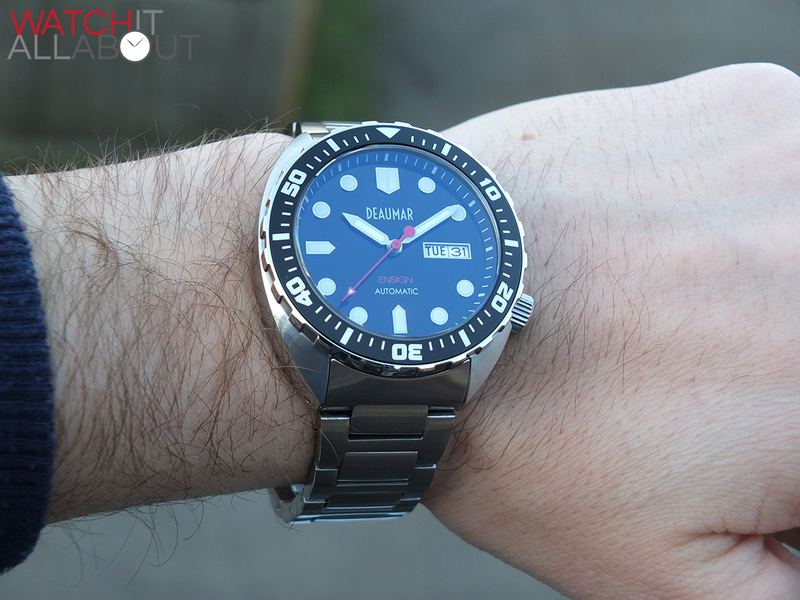 120 Click Uni Directional Rotating Bezel. 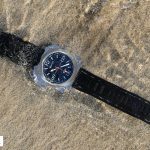 200m / 20ATM Water Resistance. 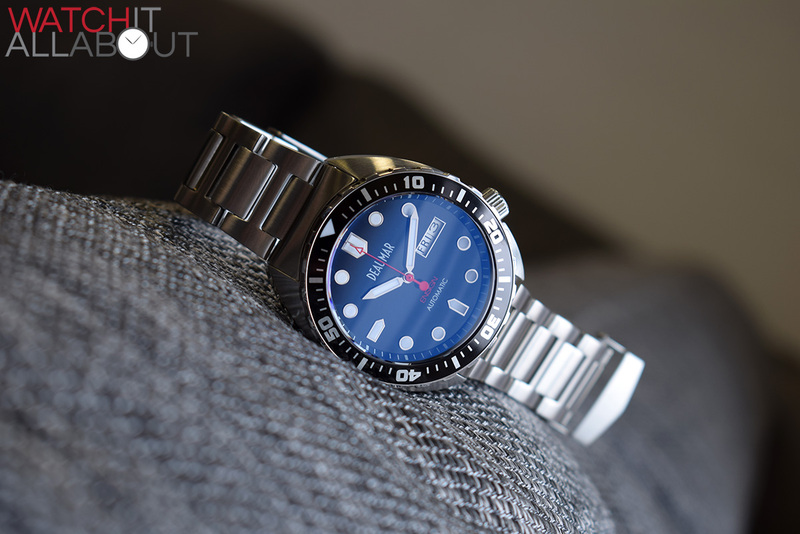 Lug To Lug Length – 46mm. 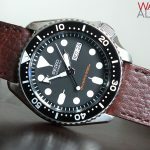 Warranty – 12 Months from date on warranty card. 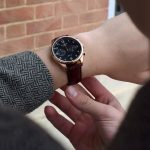 The case is excellently built, with the main features for me being the crown at the jaunty angle of 4 o’ clock, plus the addition of drilled-through lugs. 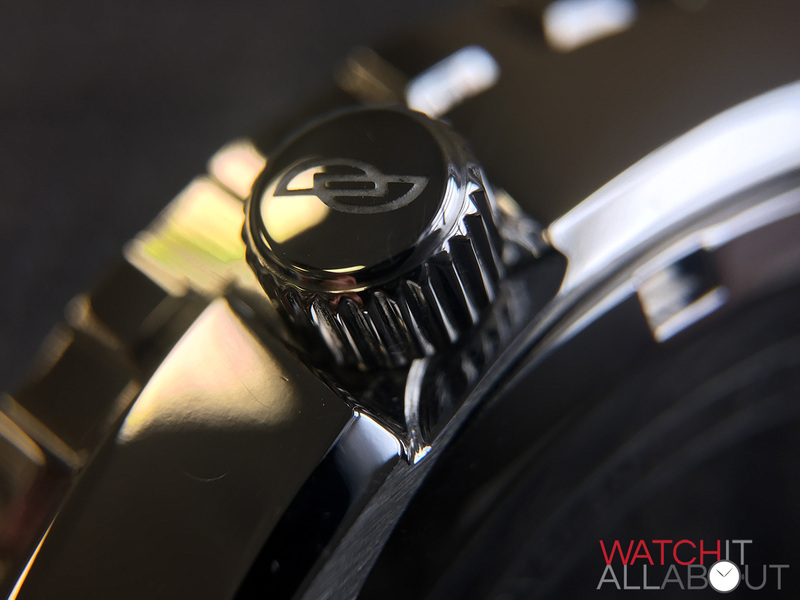 The screw-in crown features the Deaumar logo deeply engraved on it and the positioning of it is one of the key reasons why “Seiko” has been mentioned so much with this watch (not a bad thing at all). 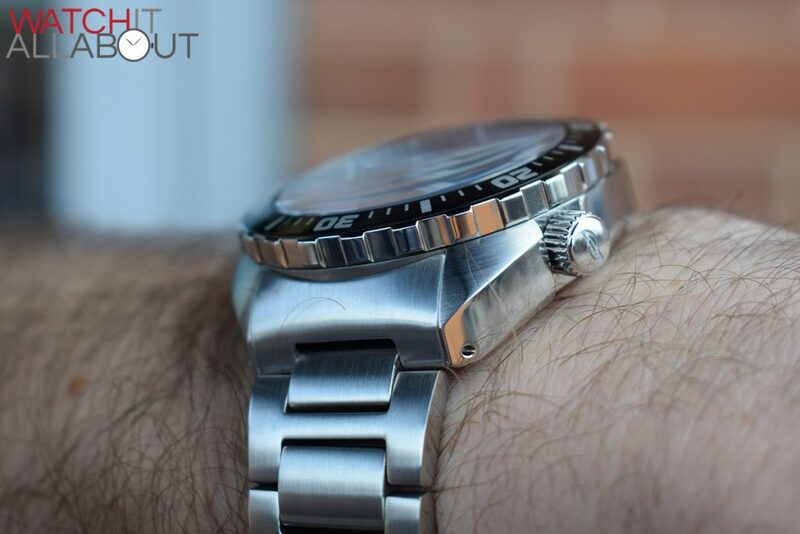 The finishing is of decent quality too, with a sharp line between the brushed top and polished sides displaying this. 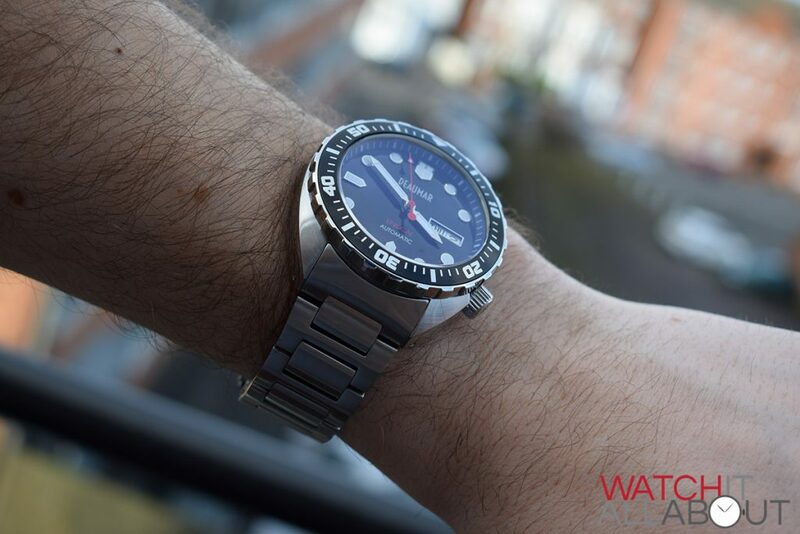 The size is just right for a chunky diver too – 42mm for me just hits the spot, although it does sit quite tall. 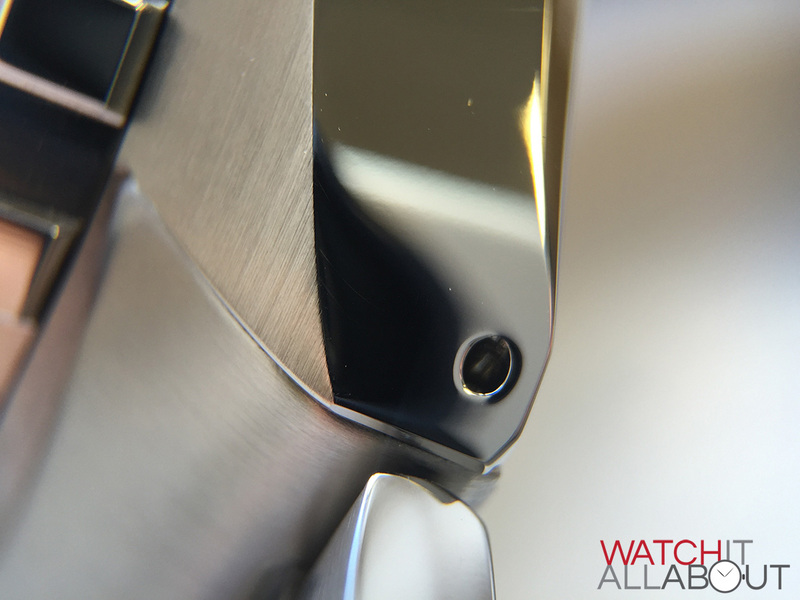 The sapphire crystal is thick, providing a decent thud when you tap it, reassuring you that it’s decent quality. It’s domed on the top only so you’ll get a little bit of distortion at a tight angle. 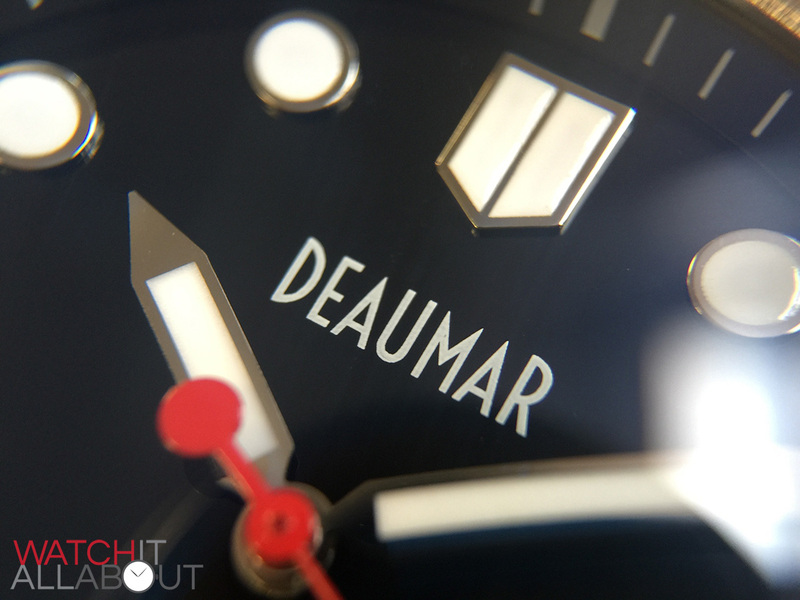 The Deaumar Ensign is available in 4 different colours; here we have the black variant. 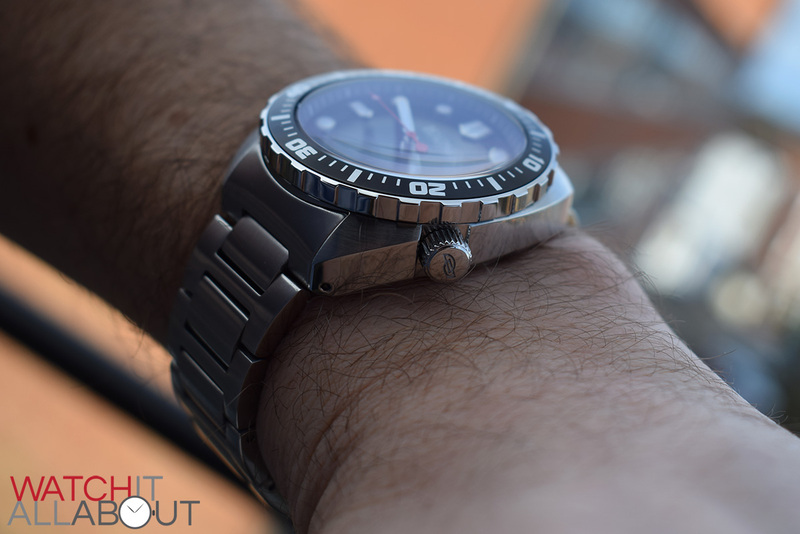 With a day/date at 3 and applied hour markers, it contains enough detail and polished / reflective elements to draw attention when the light hits it right. 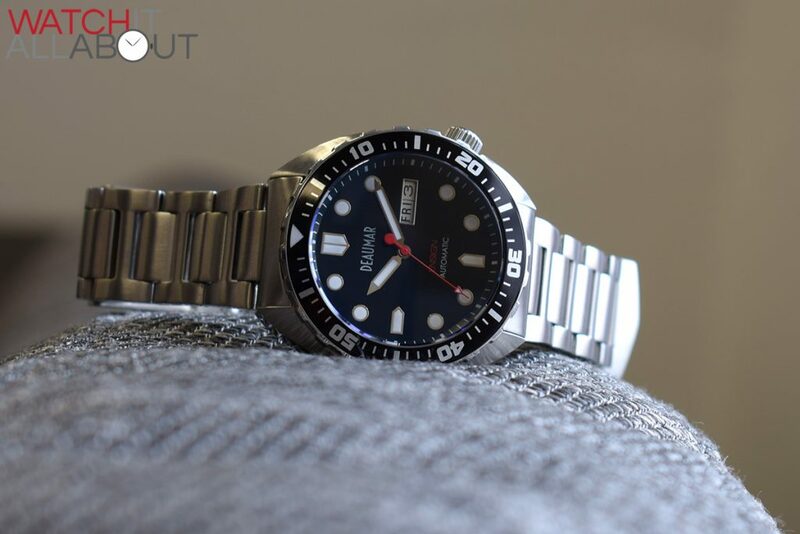 The dial base itself is also reflective – and as per the pictures, it really radiates at certain angles. The printing is delicate and fine, and the design is bold and simple. 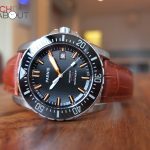 It’s well implemented and I haven’t been able to find any issues at all with it in terms of build quality. 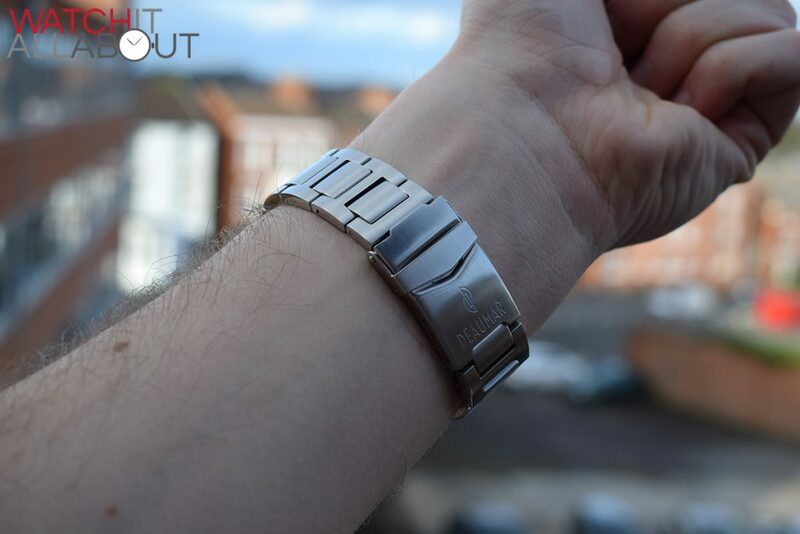 The 22mm wide bracelet is solid steel that’s really well put together. The “H” links are reminiscent of Hamilton, and is a design that appeals to me. 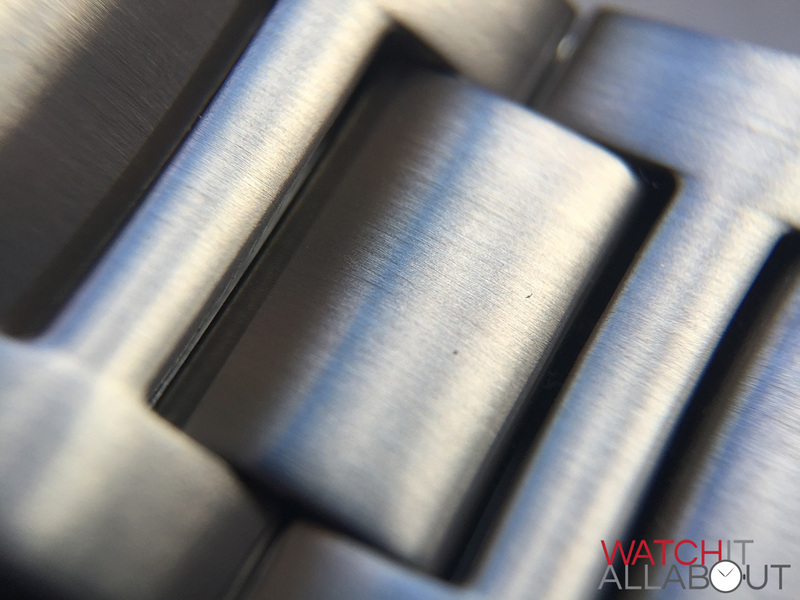 They’re brushed on the top and bottom; and polished down the sides to match the case. 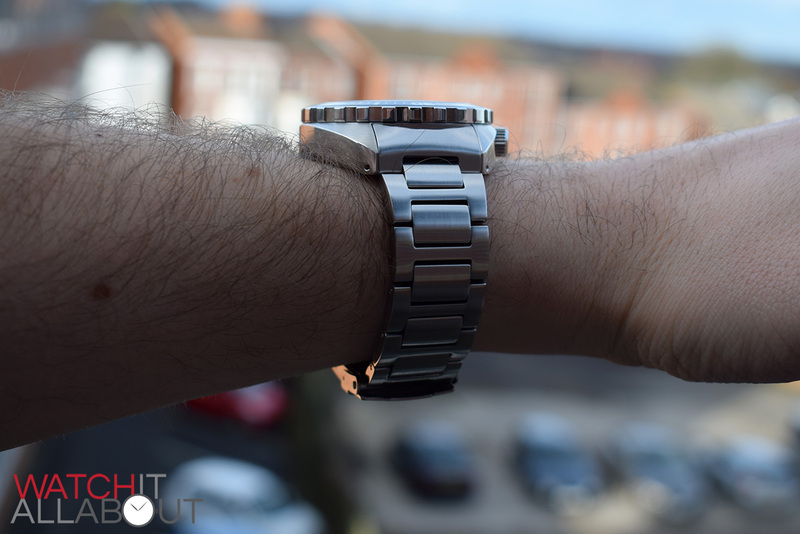 The bracelet is heavy-built, with solid end-links – and if you wanted to replace it, it would be easy to do so thanks to the drilled lugs. 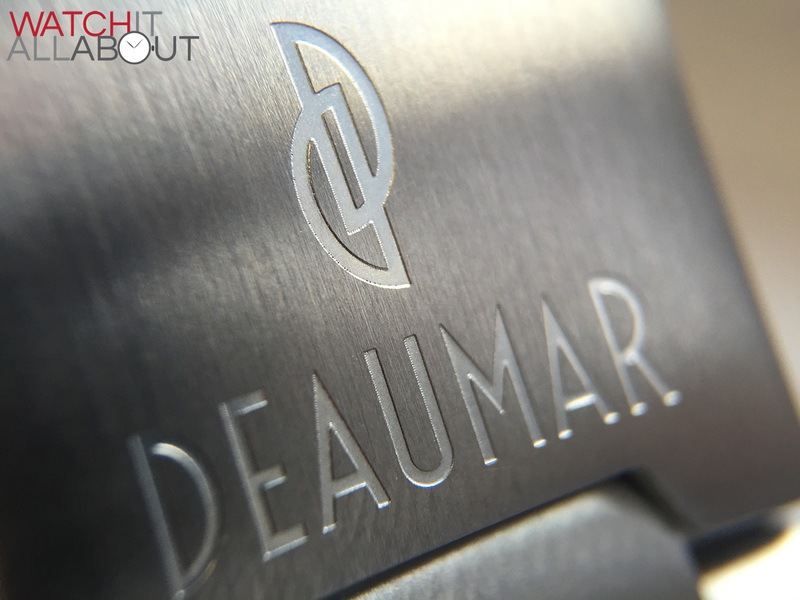 The double locking brushed buckle features the Deaumar logo engraved, and feels reliable enough to not be worried about it springing open. 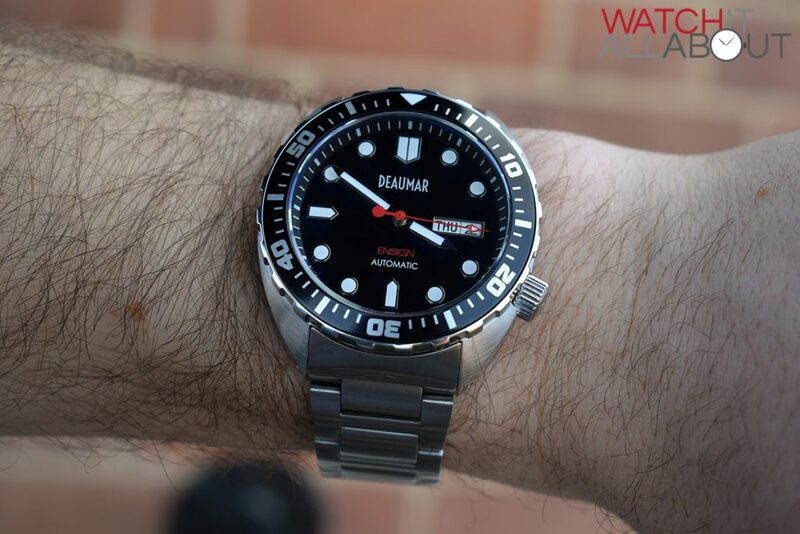 The movement in the Deaumar Ensign is the Seiko NH35A, a movement that can be found in a number of micro brands, such as the Melbourne Watch Co Parkville, G. Gerlach Orzel, Helm Vanuatu, Gruppo Gamma A-41 and Lew & Huey Orthos just to name a few. 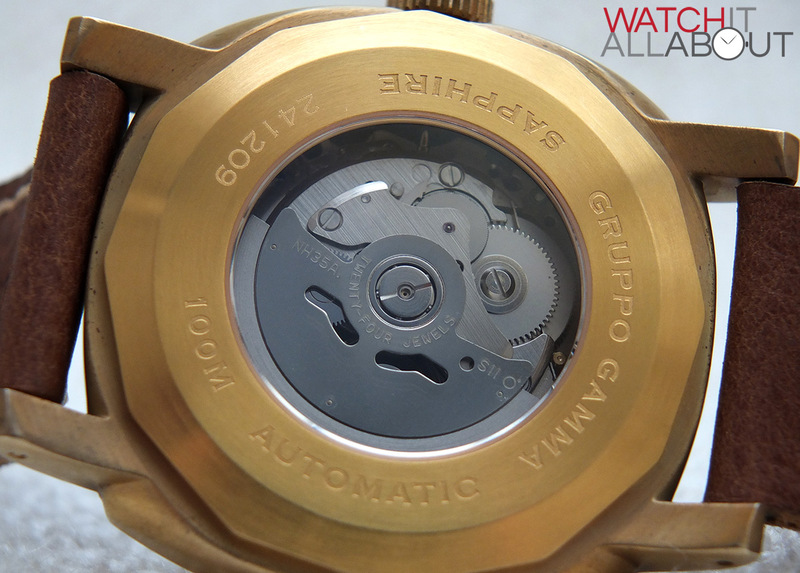 It’s a reliable, hard working movement that’s naturally very accurate out of the factory. The Seiko NH35A found in the Gruppo Gamma A-41 for visual purposes. 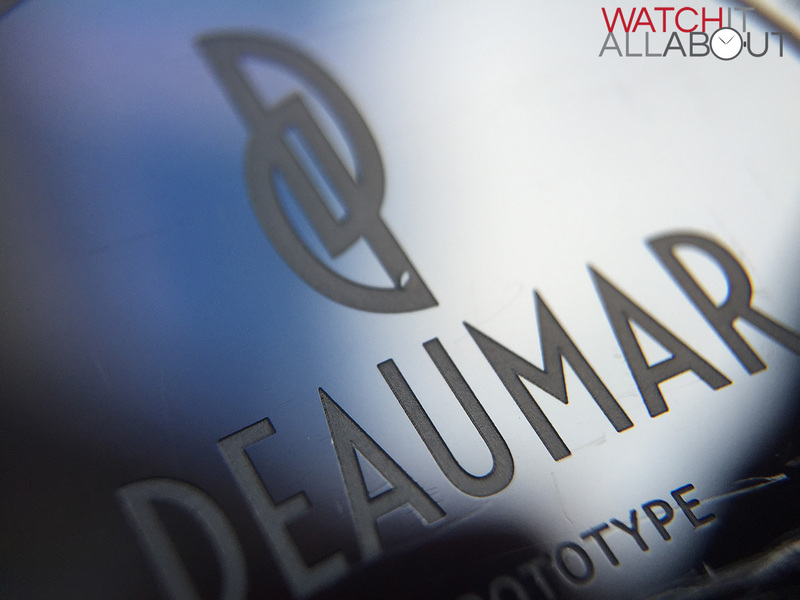 During my short time with the Deaumar Ensign, I really enjoyed the aesthetics and quality of the watch. 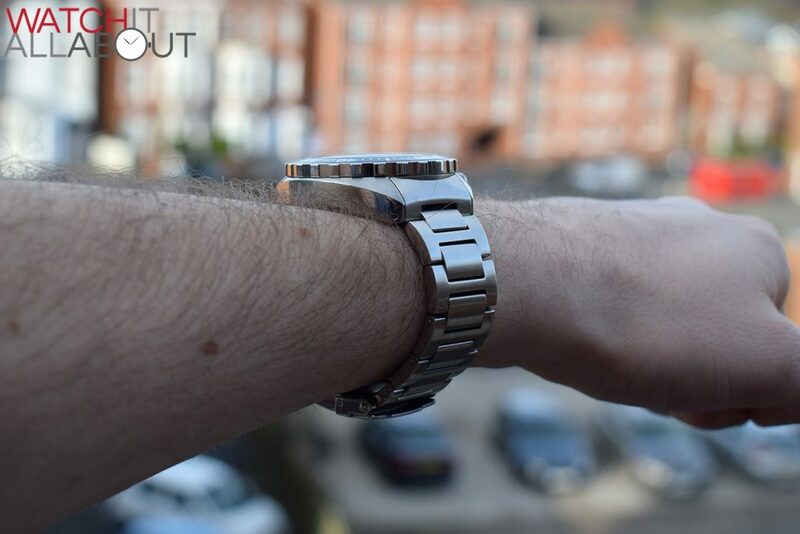 It’s well built, with decent specs, and looks great on the wrist too. 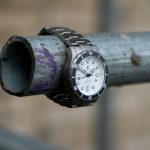 For the Kickstarter price, I certainly think it’s a suitable option if you’re after a decent diver with an original design. 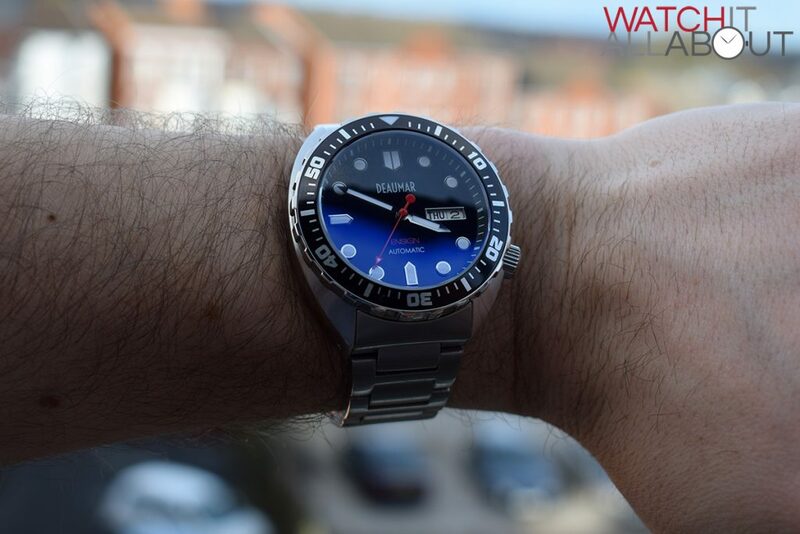 The RRP on the website seems to fluctuate (it was £210, now it’s £270) – which in my eyes is a little too high for it. 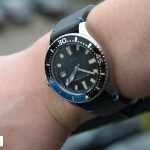 Not that the quality isn’t there, but I’d be surprised if many would sell at that price when for an extra £25 you can get a Steinhart Ocean 1. 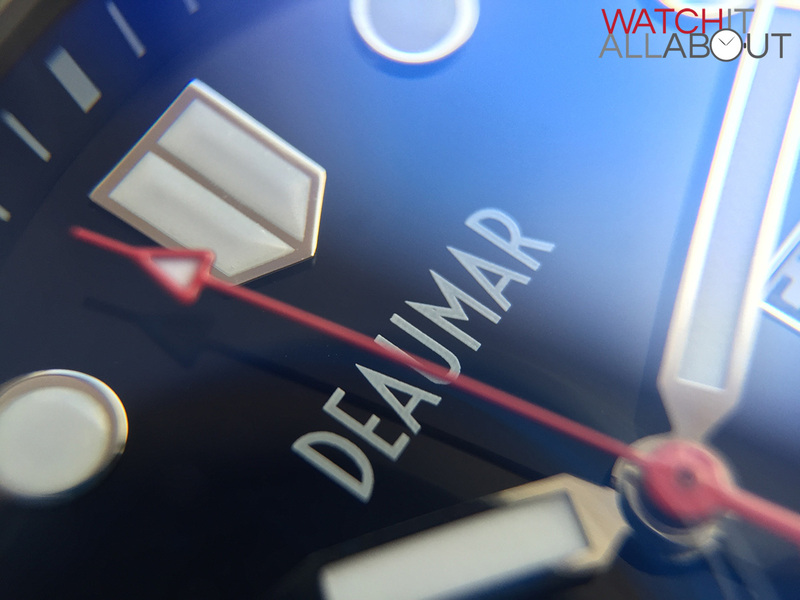 On Kickstarter, and most certainly if you’re not in the EU due to the cheaper price, the Deaumar Ensign is an admirable timepiece that is sure to impress.